Nevada’s new state law requiring owners of off-highway vehicles, including dirt bikes, to register and title their vehicles went into effect on July 1, 2012. 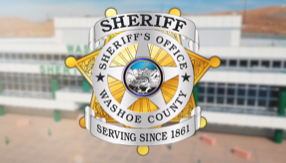 The Washoe County Sheriff’s and District Attorney’s Offices want to remind all owners of off-highway vehicles, or OHVs, manufactured in 1976 or newer that they must register their vehicle and properly display the registration decal in order to legally operate their vehicles in Nevada. According to the Nevada Commission on Off-Highway Vehicles, OHVs include, but are not limited to all-terrain vehicles, all-terrain motorcycles, dune buggies, snowmobiles and “any motor vehicle used on public lands for the purpose of recreation.” Nevada’s new statute requires that OHVs purchased prior to July 1, 2012 must be registered by July 1, 2013. Titles are optional for OHVs purchased before July 1, 2012. OHVs purchased after July 1, 2012 must be registered and titled within 30 days of purchase. Registration applications are accepted and decals are issued by mail only. For additional resources and information about the registration and operation of Off-Highway vehicles in Nevada, visit the official website of the Nevada Commission on Off-Highway Vehicles at www.nvohv.com; or call (775) 684-4381.